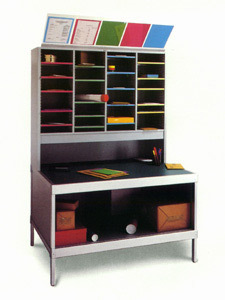 Mailroom Console Platforms are designed to create additional worksurface space by elevating technology used in manifest applications. 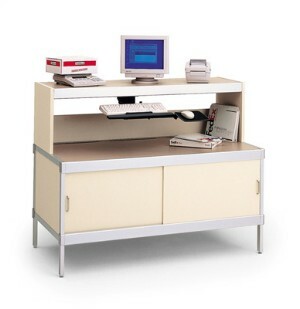 Platforms can be securely attached to Hamilton Sorter's aluminum framed consoles with our unique pin-cam locking system. Available in widths of 24" to 84" and heights ranging from 3' to 18'. Variations on the platform configuration include an aluminum extruded front for mounting adjustable keyboards.